Reviewed 1 March 2018 From Tripadvisor. 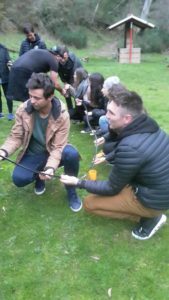 Brendan provided a great team building activity. 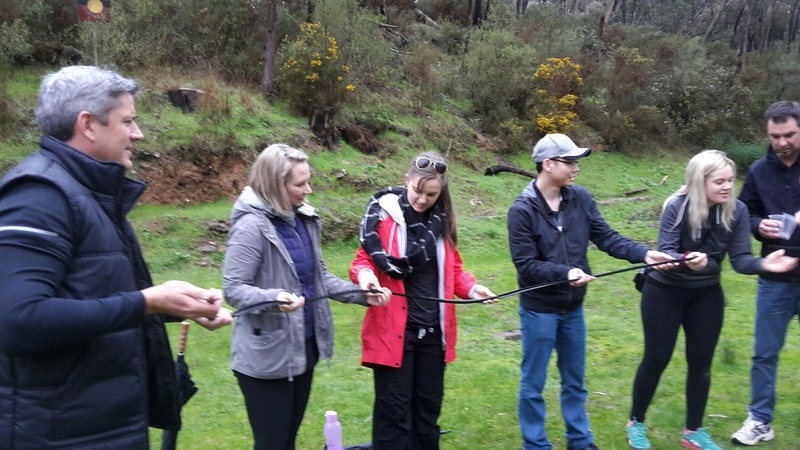 Our activity included mineral spring tasting and a geocaching element to find the safe after locating marker posts and solving clues. Brendan was also very flexible in tailoring the activity to suit the needs and objective as well as factors and conditions on the day i.e the sun and heat! 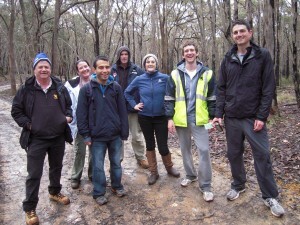 Brendan was also knowledgeable about the history of the area and provided great insights. Overall I would highly recommend Brendan’s activity offerings! Reviewed 6 March 2018. From Tripadvisor. 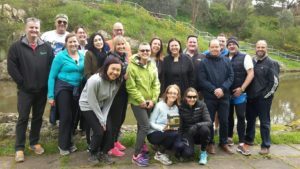 We asked Brendan to put together a guided walk tour for our relatively large corporate group as a team building exercise for our Conference. Brendan and his team did a great job in design an appropriate route which took in the beautiful surrounds of Hepburn Springs/Daylesford. He had a wealth of knowledge of the area which he shared and kept everyone interested and engaged. 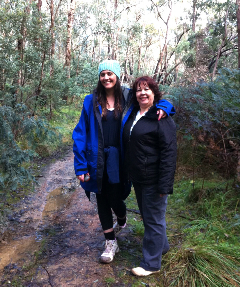 I would highly recommend Secret Forest Walks! 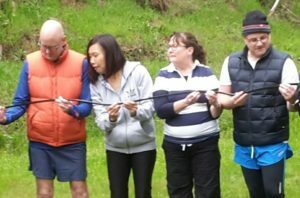 We organised this activity for a work conference focusing on team building. It was a great exercise to do as all members of the team got to play an important role and all of the team agreed it was great fun. Our team is made up of all different age groups so this was suitable for all. The location of the activity was beautiful.Would definitely recommend to others. 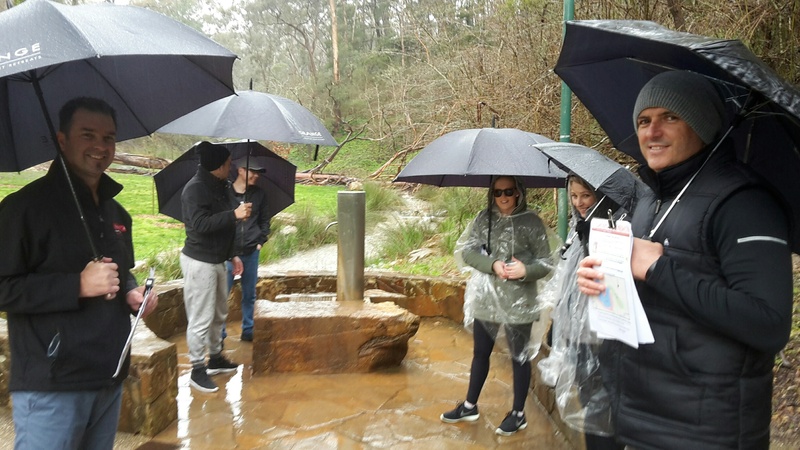 Rain, hail or shine, Brendan was prepared to go out of his way to make an extremely memorable experience for our group of 11 work colleagues. 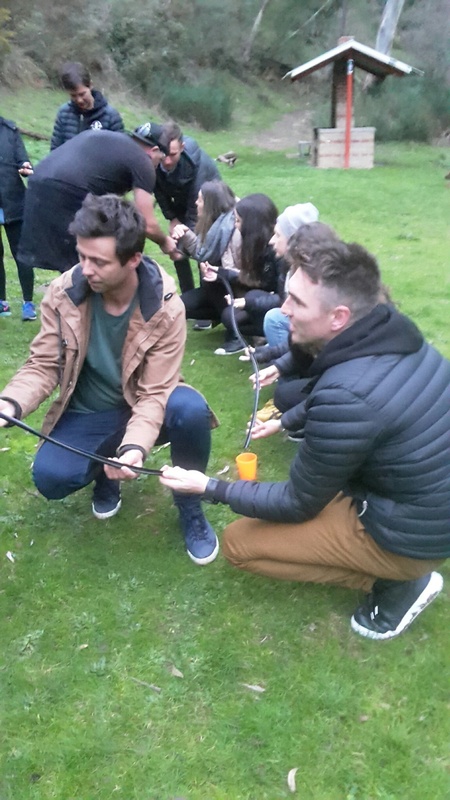 Arranging the event was smooth and effortless as Brendan is a fantastic communicator – so there was little effort, to the extent that he met the team at their accommodation. As it was raining at the time, Brendan had prepared umbrella’s and ponchos – the gesture was appreciated by all. Once we were off, Brendan made an effort to converse with the group and answered any questions we had clearly about our activities and our beautiful surrounding scenery. 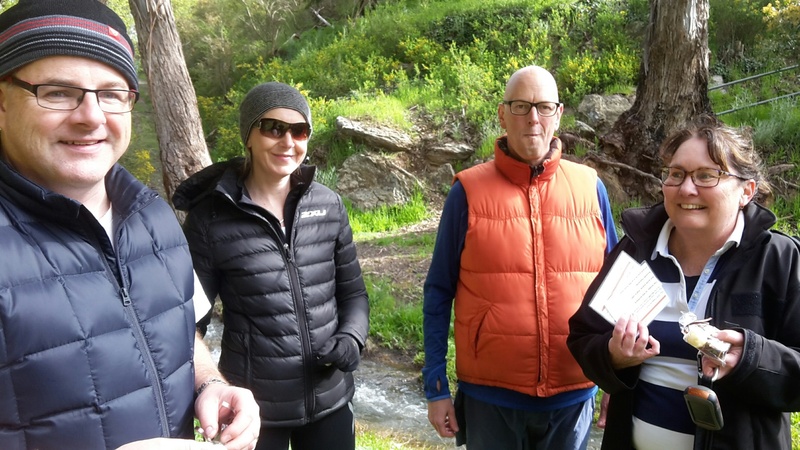 Brendan is extremely knowledgeable, taking us to each of the four Springs to taste the different mineral waters – what an experience! 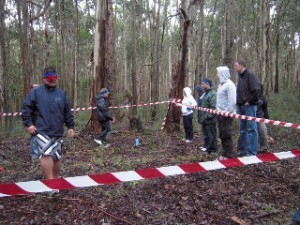 Our other activity Brendan had planned was a GPS treasure hunt. A fantastic team-building activity for our group. 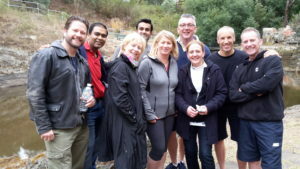 The tour was set out well and our team had a fantastic time. A huge thank you to Brendan for an unforgettable experience. 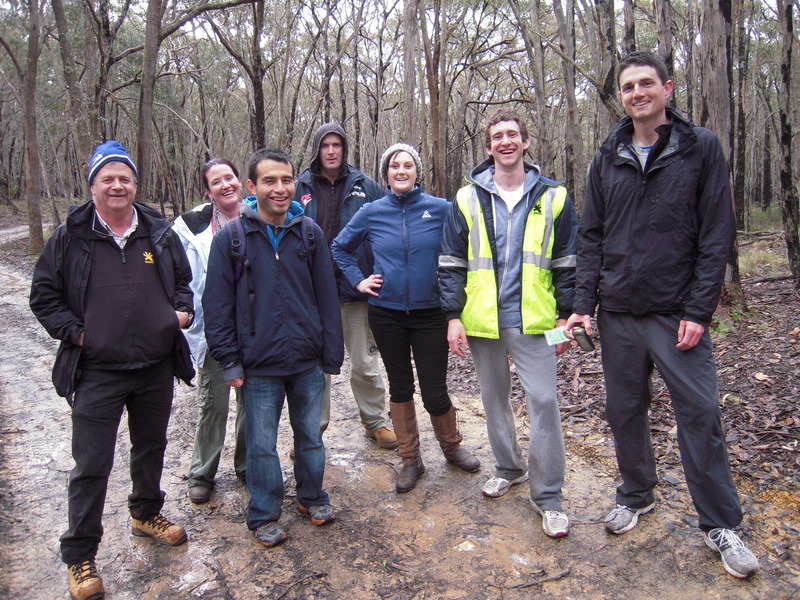 Brendan’s Forest Walk was a fantastic activity for our team during a recent conference. 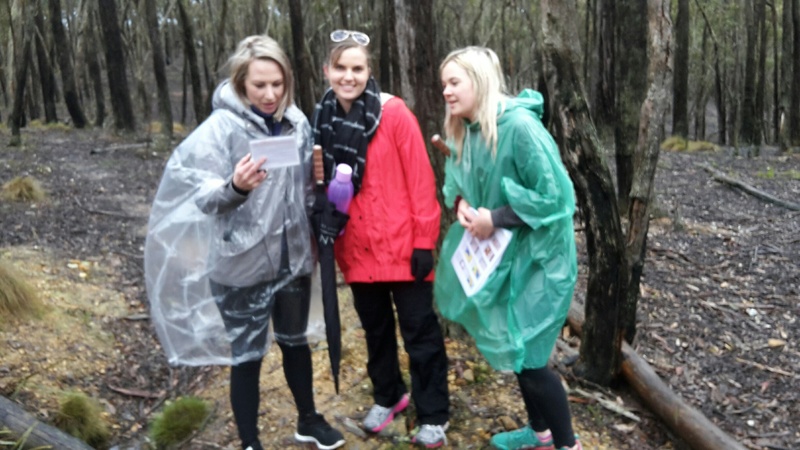 The team all loved the bush walk and the fun activities along the way. I can highly recommend this activity for a group who is wanting to explore the great outdoors in a beautiful area such as Hepburn Springs. After ‘The Safe’ comes the seemingly simple task of rolling a ball bearing into a cup. 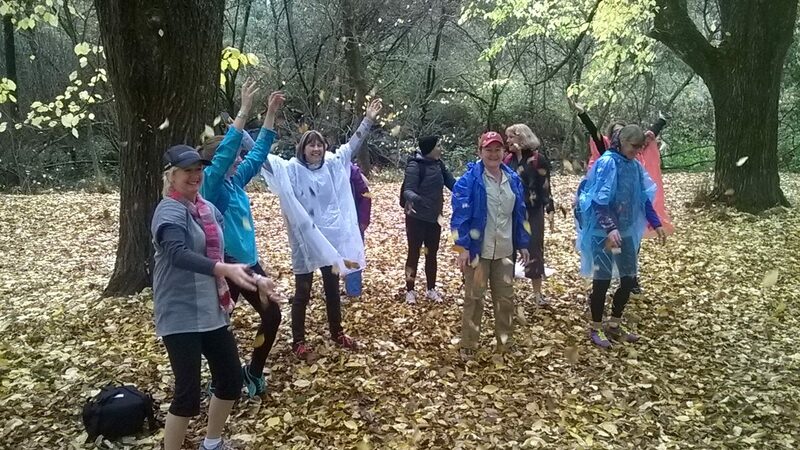 We recently did 4.8k Daylesford GPS treasure hunt walk and it was smashing hit with our girls gang. Brendan was very helpful, well organised and tailored the walk as per our requirement. He even organised a nice herb bouquet from his garden as special gifts for 2 of the mothers to be. We really enjoyed the walk around the lake and great time looking for clues on the way to unscramble the mystery word. 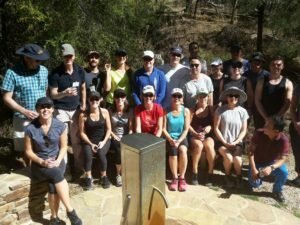 Brendan from Secret Forest Walks organised a team activity for the Bendigo and Adelaide Bank Board and Executive at Hepburn Springs. 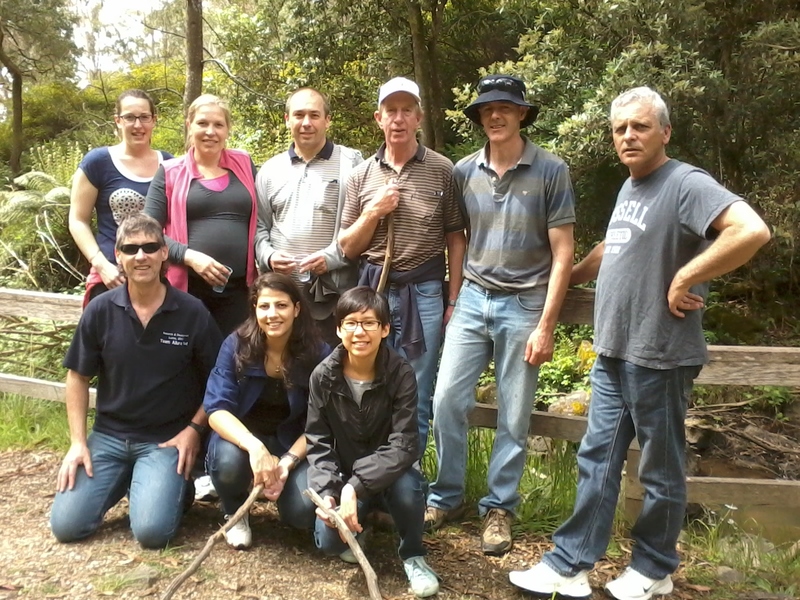 He is a down to earth guy who is very professional and was able to work with our group in a relaxed manner. The exercise involved finding markers using the hand held GPS to locate cryptic clues which then needed to be sloved to open a safe at the end of the course. Both during the organising of the activity and on the day, Brendan was flexible to meet our needs and ensured we completed our activity on time. 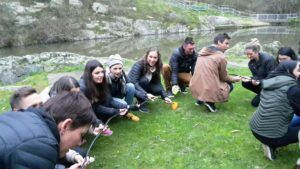 His knowledge of the local area added depth and interest to the activity. 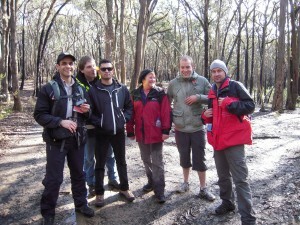 Brendan was a pleasure to work with and I would recommend Secret Forest Walks for great outdoor team activities. 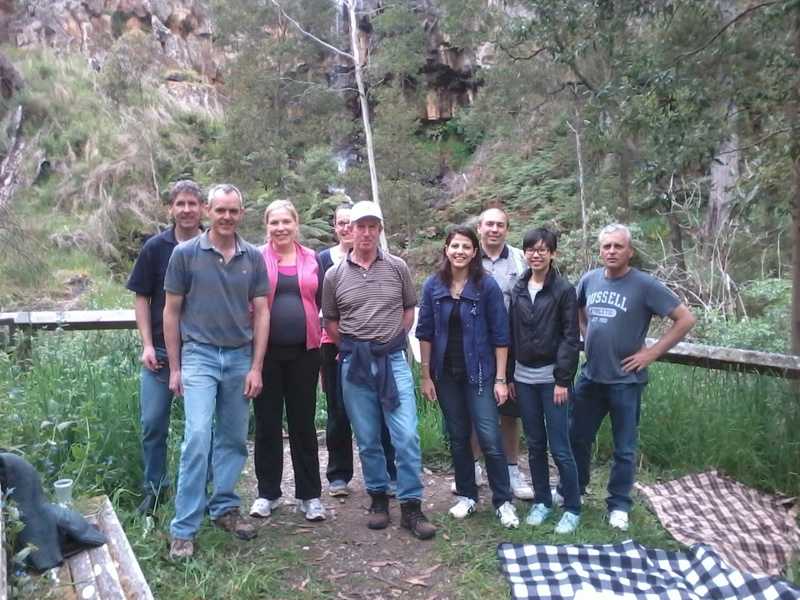 Brendan arranged a 3-hr tour for a group of 28 friends in their 70’s on a Sat morning He was so pleasant & easy to deal with, the itinerary was just right, with a stop at Lavendula for morning tea Our guide Beverly was excellent We hope he will use our tour as a template for extensions to his services. 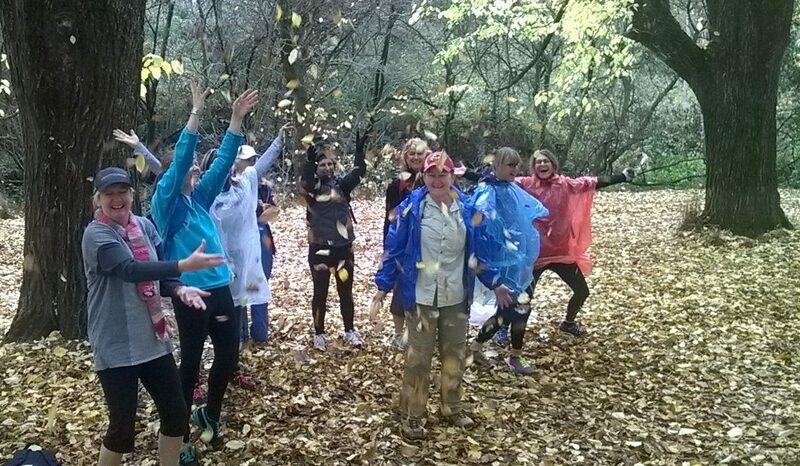 Fun in the autumn foliage at Jubilee Lake, Daylesford. 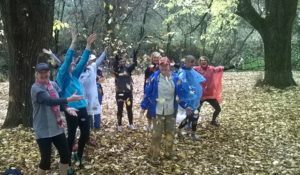 I was looking for a team building activity on short noticed and came across Secret Forest Walk. Brendan was great to work with. The activities were well explained and there was plenty of flexibility to tailor the walk to suit our team requirements. On the day, the weather was great, everything was well organized and we finished the walk on time. 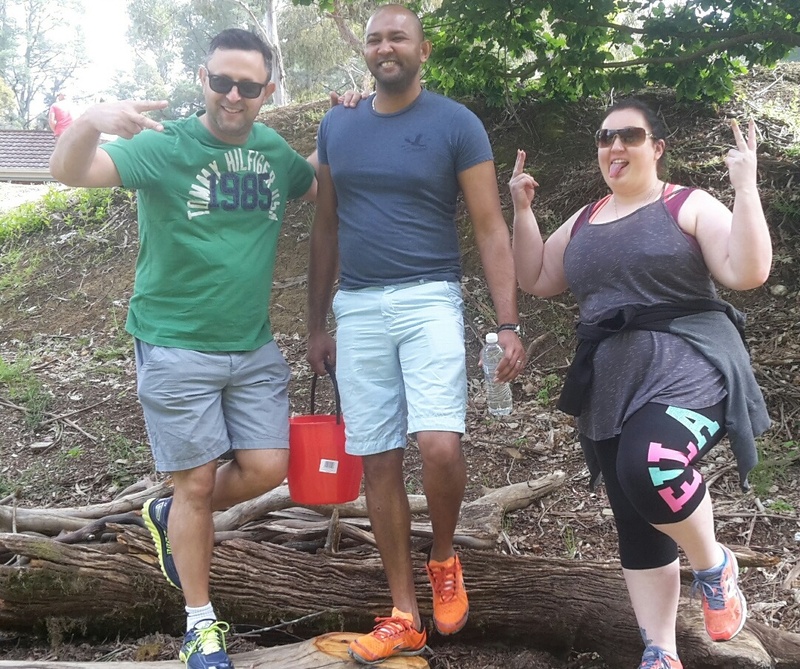 Brendan is clearly very passionate about what he does and kept us entertained throughout the walk with his vast knowledge of the history and flora and fauna of the area. Overall, my team had a really good day and I would recommend Secret Forest Walks to anybody. Lunch time picnic at the Falls. 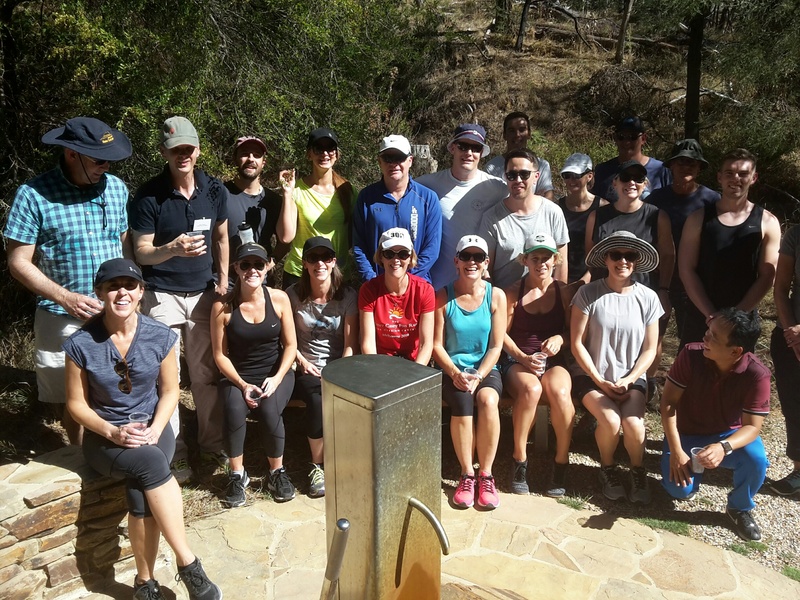 Five teams completed a 7.2 circuit of the challenging Hepburn Regional Park adjoining the Hepburn springs mineral water reserve. Navigating by hand held GPS units and taking in the scenic Jacksons Lookout and the obscure ‘Stone Ruins, the teams braved hail, rain and glorious sunshine to cover the terrain and and also complete a GPS Treasure Hunt ( or Geocache hunt for those in the know). 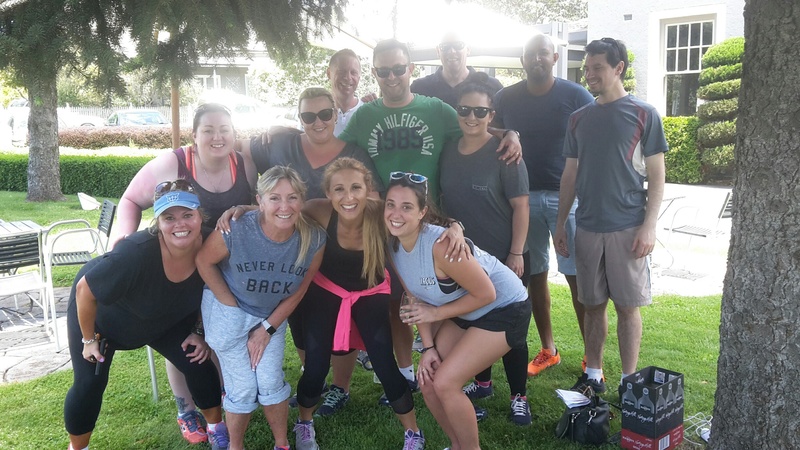 Highlights included finds of Sweet Decadence chocolates, a quiz, puzzles made from famous Gekko Systems moments and memorable photo challenges such as human pyramid making and everyone off the ground. The Gekko Systems teams performed admirably and will be able to look back fondly on a thoroughly unique event that created the right opportunities to share experiences together. 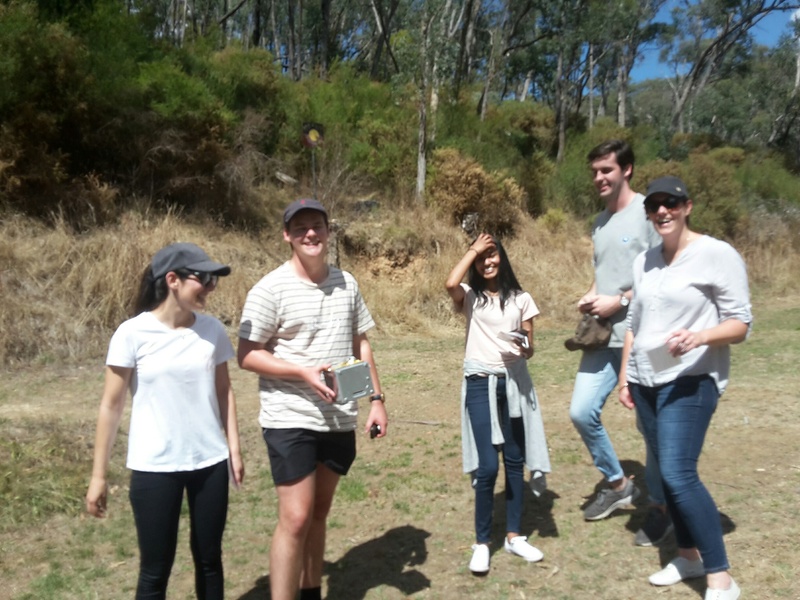 Keen explorers, soon to find a hidden ‘cache’ of fine chocolates. No wonder they look happy. Smiles all round. 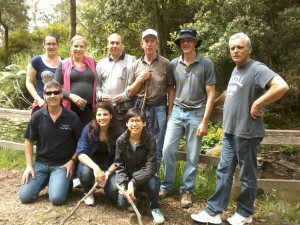 The team emerges from the forest having completed the Stone Ruins section of the course. I wanted to thank you for your recent efforts for our group … our personalised walk was a huge success having a little bit of everything … the team all enjoyed the challenge and the scenery, and was the perfect opportunity for our team to spend some time together. We loved the Roller Coaster a little more challenging than we expected!. We would certainly recommend to our clients be it for a small group activity or a team building activity. I thought the day went well and participants really enjoyed the event. Feedback was all positive and they found it to be great for building camaraderie. The Sailors Falls was beautiful scenery to end the walk. Now that we know how long activities take to complete, maybe for future groups you can add in another one or two activities to make the course that little bit longer and more challenging. Our group being young are very competitive and were trying to finish in a record time. I have put an answer under each question for you. I don’t have an issue with you using excerpts from my feedback for your website. Thank you for the time you spent ensuring that our team activity would be successful. We could not have achieved this without you putting in the extra mile to co-ordinate everything. The Team from International Medical Recruitment set out on the Team Builder 2 walk as part of our annual staff conference in early July. Despite some fairly poor weather during the lead up to the event, it was a lovely morning, and the overnight rain helped bring out the best in the beautiful surroundings. 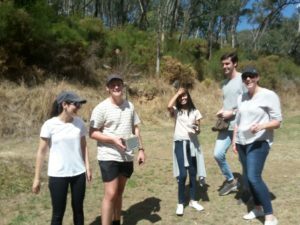 We had 15 people split into 4 teams, and organised a treasure hunt whereby teams had to collect pieces for a jigsaw puzzle along the way, to assemble at the finish line. 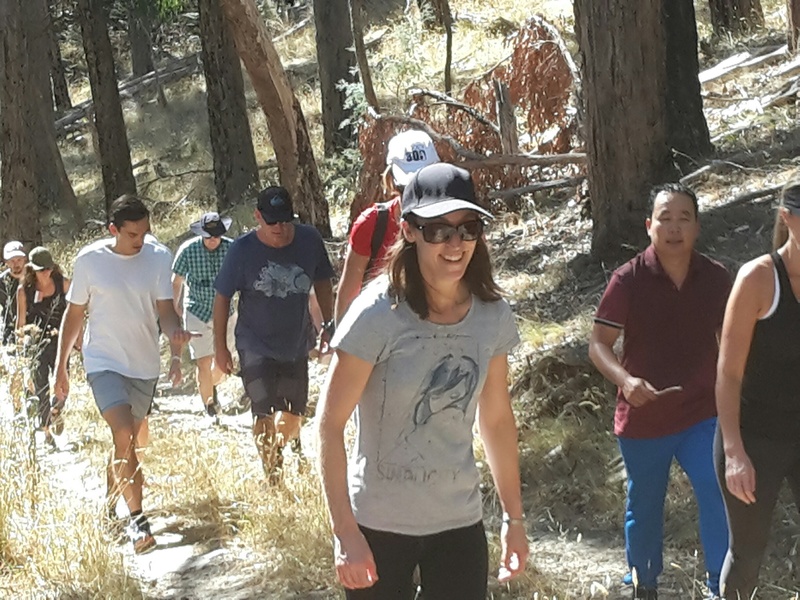 The crisp and fresh mountain air was just what the doctor ordered to clear a few weary (and sore) heads from the previous night’s celebrations. 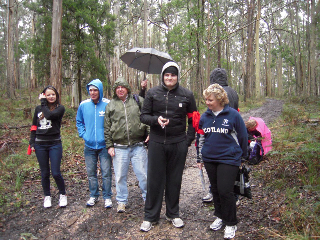 The tracks were all in great condition despite a reasonable amount of rain, and the walk itself was very enjoyable. 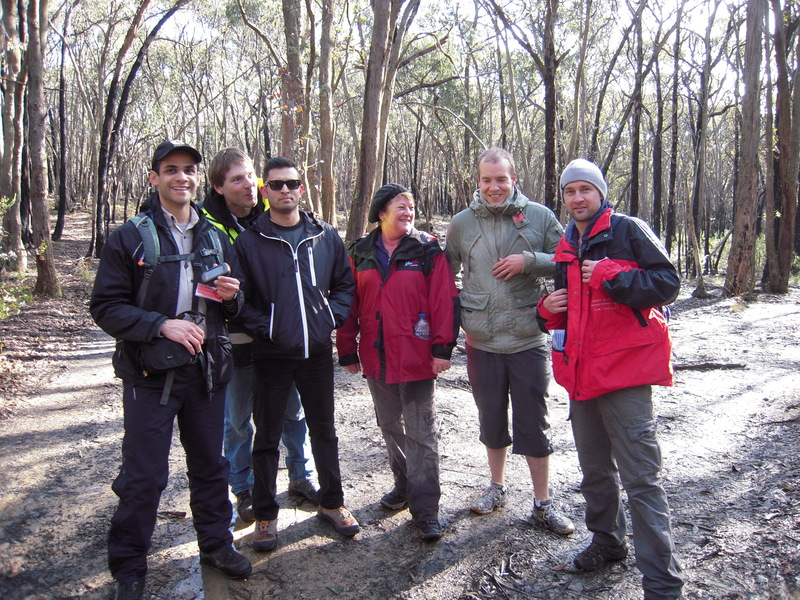 The keen observers of the group were lucky enough to spot out a few Kangaroos and Gang Gang Cockatoos, and the scenery was fantastic the whole way. 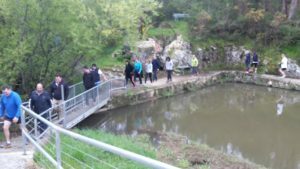 ng to explore the wonderful scenery around Daylesford and Hepburn Springs. Brendan was fantastic in his assistance in setting the activity up, and also in his briefing to all of our staff members. 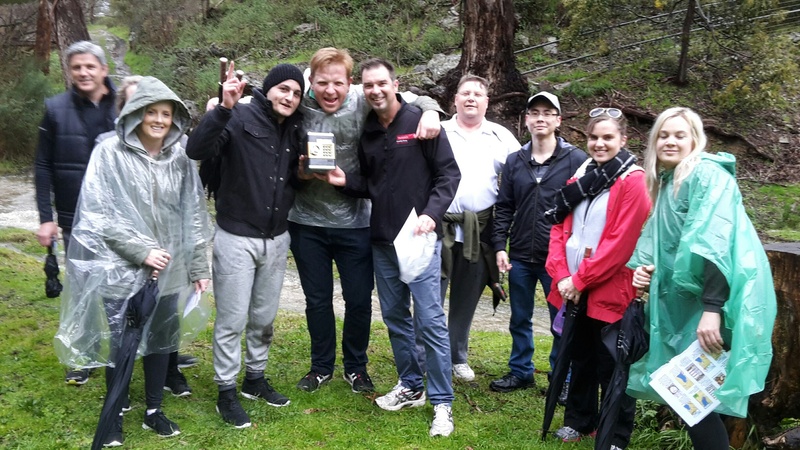 The GPS units were easy to operate and also gave the winning team the information on their average walking pace for bragging rights. Thanks again for a wonderful day!